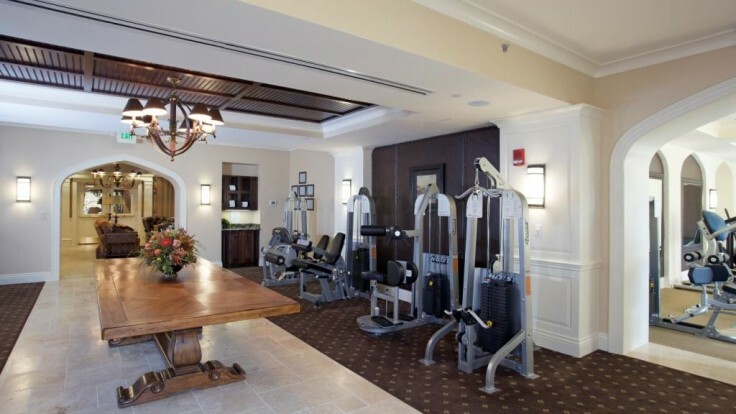 Bethesda Country Club Fitness & Spa | Hubert Construction, LLC. 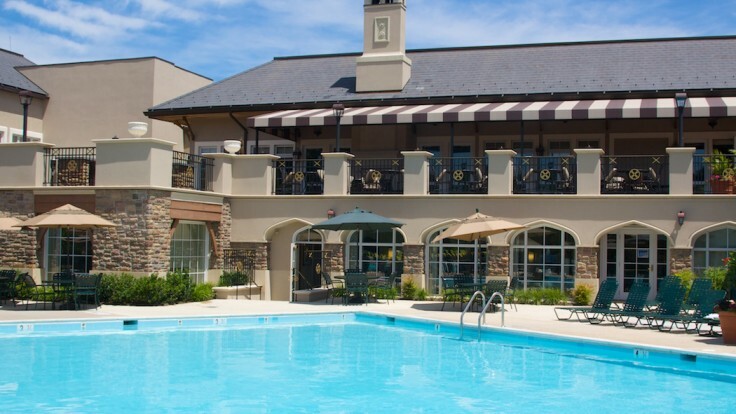 The goal of this project was two-fold, upgrade and expand the fitness facility and provide outdoor dining space. The result was a project that added to the building, creating additional interior space and an elevated terrace, overlooking the pool. 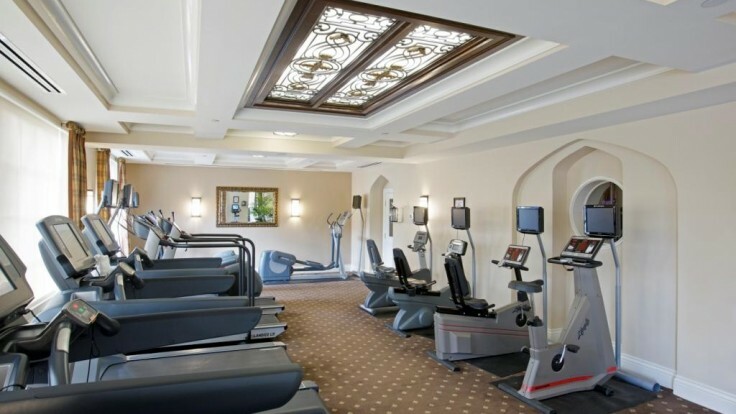 On the interior the new space allowed for an expansion of the fitness facility that now includes an aerobic/yoga room, cardio equipment room, weight room, locker rooms, reception area, spa facility and associated administrative offices. 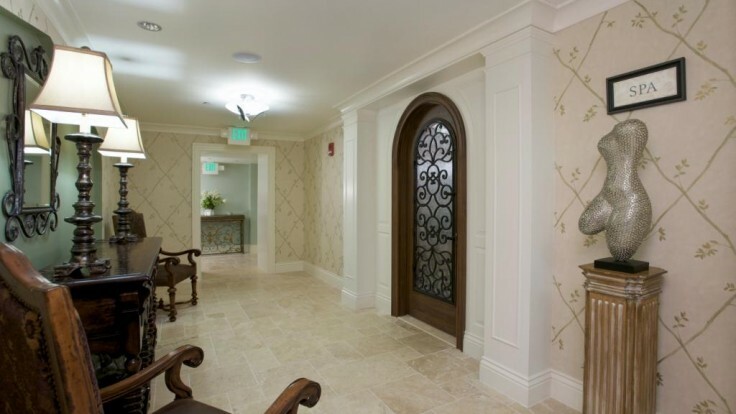 Spaces are richly appointed with stone tops and flooring, pre-cast fireplaces mantels, wood and leather wall coverings, custom carpets, aerobics flooring, along with custom millwork and multi-piece wood trims. 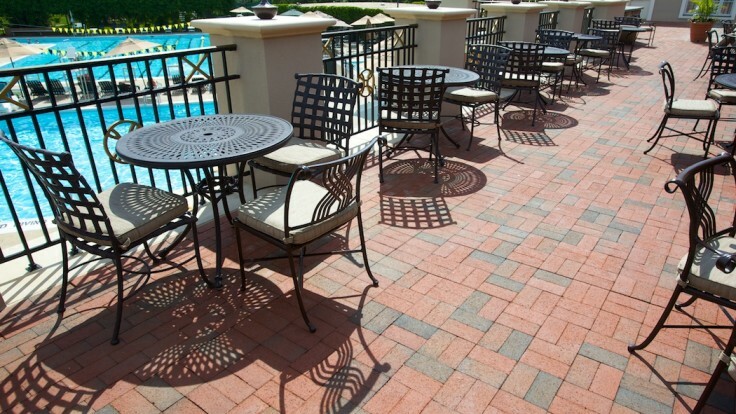 The terrace on the roof above the fitness area is finished with brick and slate pavers and ornamental iron rails and is accessed from the dining facility.